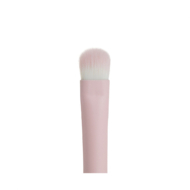 A high-quality set of mini pink four brushes for the eyes and cheeks. 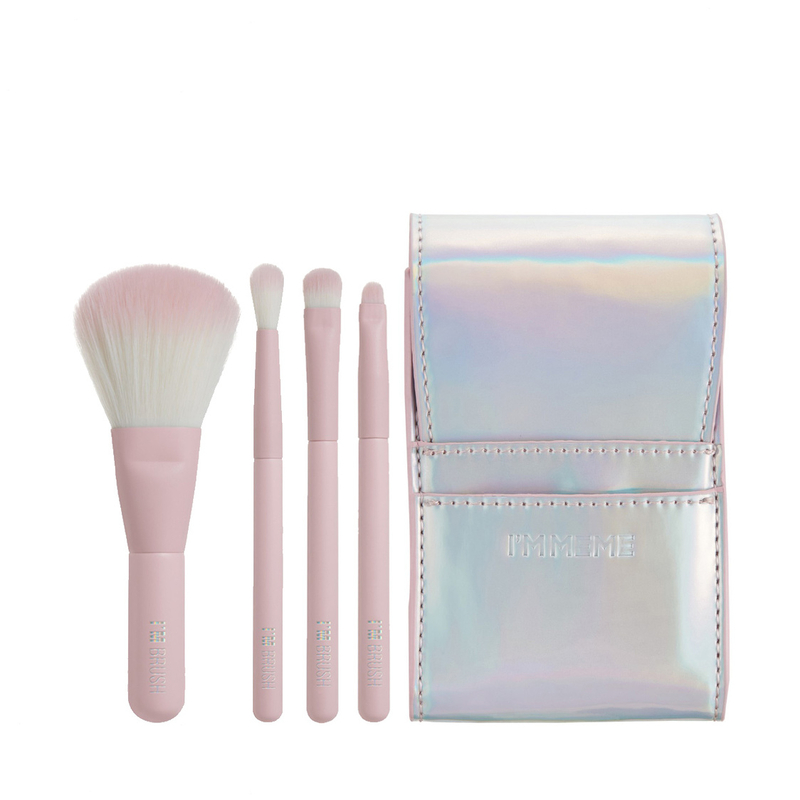 Apply all your favorite cosmetics with style and fair with this convenient brush roll set that can be packed away for traveling with ease. 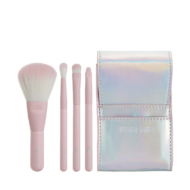 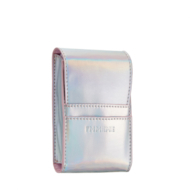 High-quality Hologram material brush pouch.